Eggless specialises in cuisine and beverages free of animal products and in keeping to that criteria, this hot chocolate is made using soy milk. However, this should not deter even those unaccustomed to soy, as the beverage is still flavoursome and delightful. The hot chocolate is served in a tall mug, making it perfect during the colder weather. Ideally, this drink can be paired with one of Eggless' desserts, including cheesecake. Why is it worth trying? The vegan option in this list provides patrons with a rich and velvety chocolate drink that will please any chocoholic. 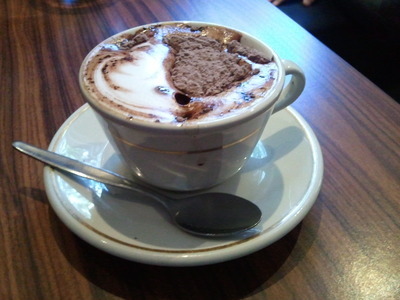 This warm drink is a staple of the chocolate house's regular menu, offering a creamy blend of coffee and chocolate. As patrons would expect from a venue such as Cocolat, the chocolate takes precedence over the coffee element in this drink. This drink is presented in a clear tall glass that showcases its layers and is garnished with chocolate shavings and a marshmallow. These elements add an extra touch of decadence to this sweet treat. Why is it worth trying? Cocolat is one of Adelaide's most well known chocolate houses and its take on a coffee and chocolate drink is a decadent delight. 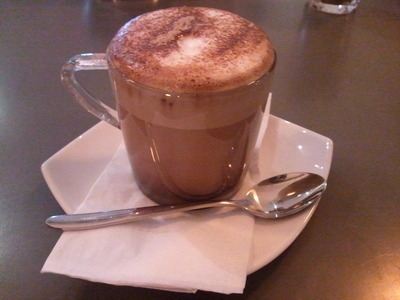 The mocha from Cibo Espresso is a textbook example of this style of beverage. Served with a generous dollop of chocolate powder and Cibo's blend of coffee, this is an excellent drink to sample while at Cibo. 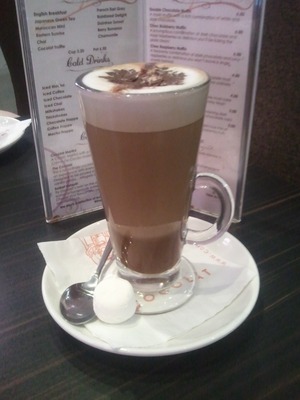 This mocha differs from Cocolat's offering as it has a stronger focus on the coffee element of the drink. While not as sweet as the previous two drinks listed here, this beverage is a thoroughly enjoyable mixture of coffee and chocolate. Why is it worth trying? Cibo's mocha is a sweet option for coffee lovers, providing a unique blend of coffee and chocolate unique to Cibo. 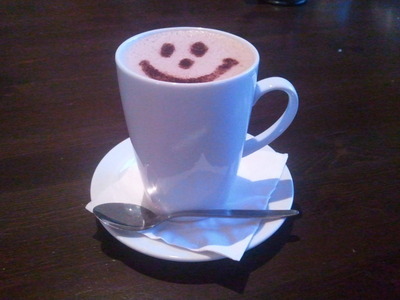 Caramel and hot chocolate are not often combined in a single beverage. However, that is not to say they do not complement each other excellently. The mixture of flavours creates a drink that will satisfy any chocoholic or lover of caramel. If you do select this drink, keep in mind it is designed for sweet tooths. Both main elements of this beverage are particularly sweet and best suited to those who relish such flavours. Why is it worth trying? This beverage is fairly uncommon among menus around Adelaide and the blends of tastes create a flavour worth treating yourself with. If you have any other suggestions for must-try warm drinks, please add a comment below. Where is Chancery Cupcakery Tea House located?